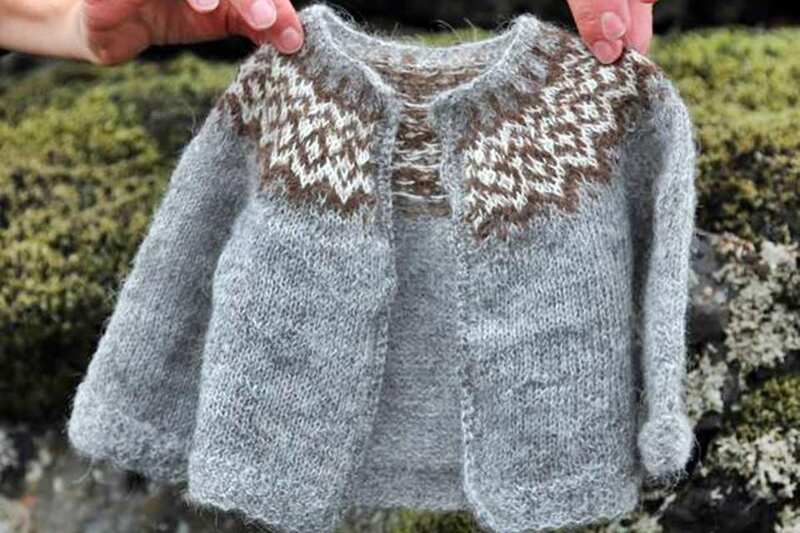 Create a sample sized traditional Icelandic sweater-Lopapeysa perfect to fit a doll, or to hang as a Christmas ornament. A project that you can replicate to create an adult size Lopapeysa at home. Knitting while learning about its history, Icelandic knitting and the distinctive Icelandic wool. This hands-on Master Class will allow you to cast-on, knit in the round, work 2-stranded colorwork, and for the brave – steek the sweater! 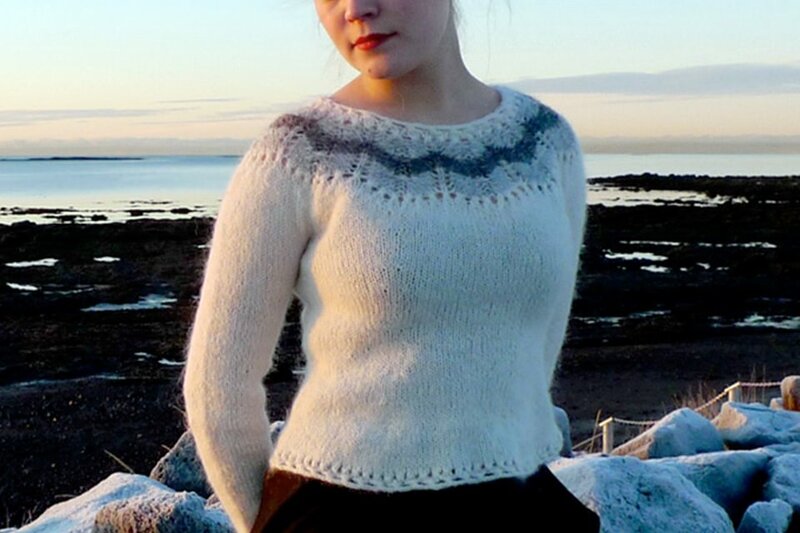 Icelanders enjoy knitting but purling – not so much. Steeking is a technique to cut the knit sweater down the front to create a cardigan from a pullover. The Icelandic wool fibers are perfect for this time-saving method. So I will show you a number of finishing methods for the edge including crochet, zippers and ribbon backed button bands demonstrating you the techniques required to complete a Lopapeysa. While working on your project I will tell you about the history of the Lopapeysa, the characteristics of the Icelandic wool and share anecdotes from my knitting adventures in the Icelandic countryside. When at home and working on your adult size Icelandic sweater, you can get in touch with me by email with your questions. I would love to hear from you and see your Lopapeysa too! I look forward to sharing with you the Icelandic knitting tradition. Stay warm and look good! Hi, I’m passionate about keeping the Icelandic knitting traditions alive by creating modern interpretations of time-honored patterns with my own 100% Icelandic lambswool yarns. I’m an internationally recognized knit designer and author of many books and articles on traditional Icelandic knitting. Reykjavik. Address will be provided after booking.